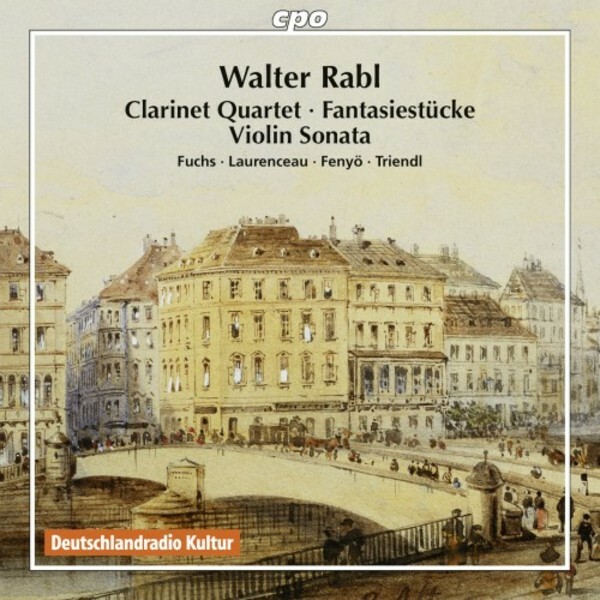 In all likelihood Walter Rabl (1873-1940) composed his Fantasy Pieces for piano trio immediately after the Clarinet Quartet. They are character pieces alternating between lyricism, cantability, and dance. He penned the Violin Sonata op.6, it too a powerful, richly melodious work in the spirit of Brahms, just prior to the end of the nineteenth century.